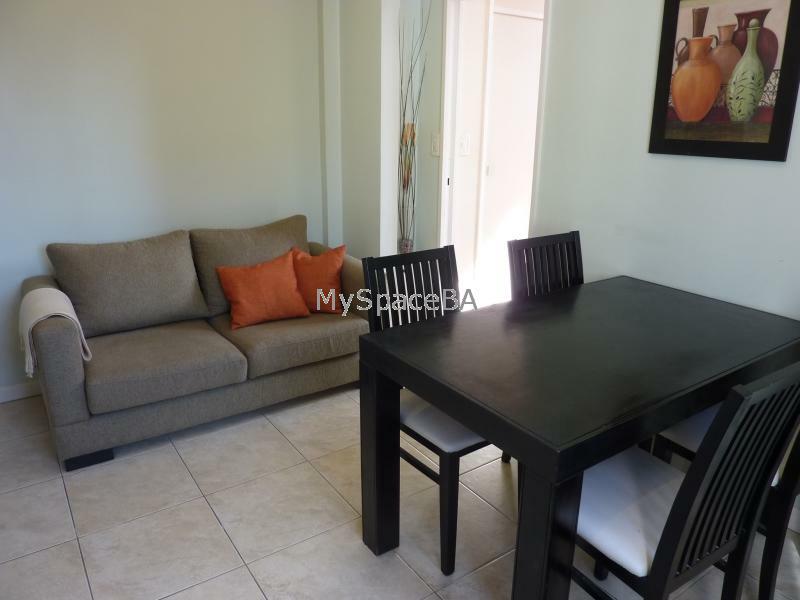 Bright one bedroom apartment located in downtown, a few blocks from the Obelisco and Corrientes Av. The apartment offers a living room with a comfortable sofa of two bodies and a wooden table for four. The bedroom has a Queen size bed and a spacious wardrobe. The kitchen is fully equipped. The bathroom has held shower. Tiled floor, heating, telephone, internet high speed, refrigerator, microwave, air conditioning, kitchen utensils, towels, linens, bed , shower. Very good buildig with elevators. City centre, metro station, bus stop, parliament of Buenos Aires, church, college, gym, solarium, restaurants, bars, nightlife area, shopping area, square, cinema, cultural centre, historical place, laundry, parking space, etc. Included: Electricity, gas, water, building fees, city taxes, cable TV, Internet .